Damon Julian reeled in a Munchie Legaux pass inches before it hit the FedEx Field end zone turf for a 39-yard Cincinnati touchdown that gave the Bearcats a wild 27-24 win over Virginia Tech on Saturday. The game-winning score came with 13 seconds to play and capped an 85-yard drive in the final 1:43 that followed a nearly-equally-dramatic 56-yard Logan Thomas-to-Corey Fuller touchdown that seemed to put Virginia Tech in the driver’s seat with a 24-20 lead. The two teams combined for 31 points in the fourth quarter after what had been a pedestrian opening three quarters of play. Tech led 7-6 at the half, and Cincinnati put up the only points of the third quarter on a 29-yard touchdown pass from Legaux to Kenbrell Thompkins that made it 13-7 Bearcats entering the fourth. The surprising early-season woes for Virginia Tech’s Thomas contined. He completed 17 of his 30 pass attempts for 242 yards and a touchdown, but was intercepted twice, and was outgunned by Legaux, who was 19-for-42 passing for 376 yards and three touchdowns with one interception. 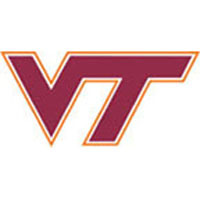 The loss drops the Hokies, who had been ranked in the preseason top 20 in both national polls, to 3-2 on the season, with both losses coming to unranked Big East teams. Pittsburgh beat Virginia Tech 35-17 on Sept. 15.